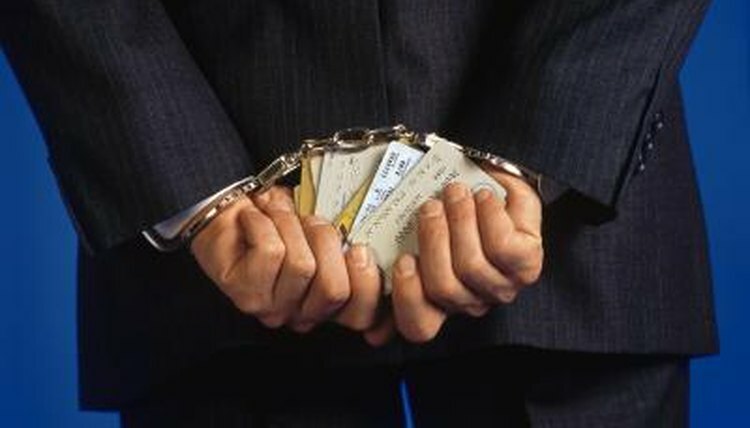 Can I File Bankruptcy With a Felony? Being convicted of a felony will not prohibit you from filing for bankruptcy. However, depending on the type of felony it is, it may prevent you from exempting certain property or its full value from your bankruptcy estate when filing for chapter 7 bankruptcy. When you file for chapter 7 bankruptcy, your assets are seized by the bankruptcy trustee, who uses the proceeds to pay as many of your creditors as possible. The U.S. Bankruptcy Code allows you to protect certain property by claiming an exemption for it. A popular exemption is the homestead exemption, which is available under both federal and state law. As of 2014, the federal homestead exemption is $146,450, which means a debtor can protect up to $146,450 of his home's value. If a debtor lives in a state that lets him choose between federal and state exemptions, it may be more beneficial for him to choose his state's homestead exemption. For example, if he resides in Texas, he can protect the full value of his home since this state's homestead exemption is unlimited. If a debtor was convicted of a felony for abusing bankruptcy laws, the U.S. Bankruptcy Code requires him to use the federal homestead exemption. This means he is capped at $146,450, even if he resides in a state that provides greater homestead protection. A debtor's homestead exemption may also be limited if his debts are the result of violating securities exchange laws, engaging in fraud, deceit or manipulation while acting as a fiduciary, or misconduct that led to the physical injury or death of another person. Jane, Mary. "Can I File Bankruptcy With a Felony?" , https://legalbeagle.com/12333694-can-file-bankruptcy-felony.html. Accessed 20 April 2019. What Happens to My 401k in Bankruptcy?